The GHG Protocol Scope 2 Guidance facilitates green energy procurement for companies who are seeking to reduce their carbon emissions and support the development of renewable energy. 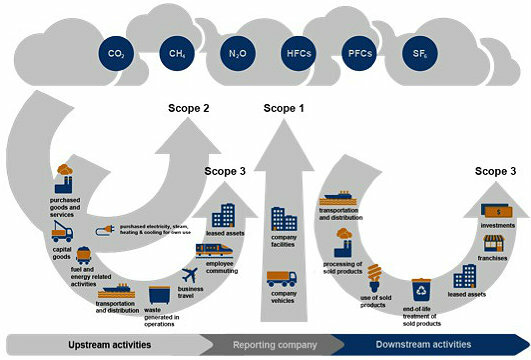 The Scope 2 guidance requires companies to use two reporting methods to disclose their Scope 2 emissions: the location-based method and the market-based method. Under the market-based method, companies can include a number of contractual instruments to reduce their Scope 2 emissions, such as RECs and GOs. All of our renewable energy products meet the new quality criteria for the market-based method and are accepted contractual instruments under the GHG Protocol Scope 2 Guidance. These emissions result from sources directly owned or operated by you. For example, do you have a fleet of vehicles? Do they burn fossil fuel? Maybe you have buildings with boilers. Something as seemingly benign as neon signs can be REC-worthy. These are emissions based on energy you purchase to directly operate your enterprise. The most common across-the-board example is - your electricity consumption. Emissions resulting from activities not directly owned by your business but are associated with its operation. Examples; business travel, waste management, commuting, third-party distribution, etc.